And clearly Zamora said the same. After the monster success of “IO3,” there was the break-up, the name change and then the name change back again, the tabloid affairs, the crotch shots, the rehabs; and musically, it seemed like the well was dry. There was the noble but profoundly misguided bird sounds experiment, followed by the money grubbing re-releases and greatest hits and let’s not even mention the ambient cycle. 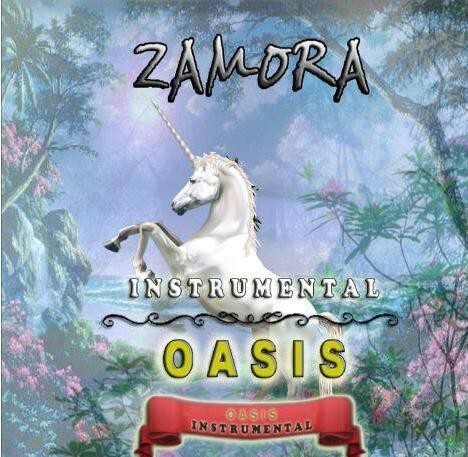 I think when the word first got out that not only was Zam in the studio recording a new album but that the new album was to be entitled “Instrumental Oasis Vol. 4,” the feeling in the community was mainly sadness that after all the ways in which he had debased himself, Zam was now going to drag his legacy through the mud as well. Never have I been so happy to be so wrong. And here we are, about to bestow another Grammy on him. While we’re all losing our minds in this “IO4” war dance, quietly, steadily, stealthfully, hungrily, mightily, scarily, ceremonially, advisedly, amicably, eminently, even courteously, the Paul Winter Consort was out in the bush, day by day growing stronger; building a base among, when all is said and done, the only people in music who count — the massage therapists and other people who listen to it. At the beginning of this year no one, and I mean no one, saw the Consort as a contender for this award. Environmental was played out. And even within the genre, The Consort was a third tier novelty at best. But then something funny happened. And it happened everywhere. The first time you listened to “Miho: The Journey to the Mountain,” you got as far as the winter mimicry and said, been there, levitated that and turned it off. The second time, you maybe made it to the “Icarus” track and then said, “meh” and flipped on your “Rizzoli and Isles” DVD. The third time you forgot you were listening and walked out of the apartment in the middle of it all because the girl from the fourth floor told you that morning that she and her friends would be hanging out around the corner and you should stop by. The next time you listened to it, you got pissed off that you forgot once again to return that library book. But then the time you listened to it after that, you stopped, somewhere about halfway through the “Oceano Dreams” track, right around the place where the sperm whale fades into the harp solo, and you sat up in your bed, threw your tray of Snackwells to the floor and said, My God, this f-ing rocks! And seriously, it does. The Paul Winter Consort f-ing rocks and now that the world knows it there is no way that genie is going back in the bottle. I’m not saying The Consort can steal this trophy from Zamora. All I’m saying is that if they want to, they can win this thing and that if I were Zam, I’d be posting extra lookouts on my watch towers tonight and arming them to the teeth with 9mm Glocks and Uzis because The Consort is coming for them and coming for Grammy. Which raises the interesting question: While Zam and PWC are locked in their death hug, who is guarding the Grammy? What is to stop, I don’t know, say, Michael Brant DeMaria from strolling right into the campground and stealing the whole thing? I mean, when you look at it, aren’t Magical Places and Environment two sides of the same coin, albeit a coin clad in very different neckwear? I don’t mean to say this, but I’m just going to say it: Michael Brant DeMaria is the authentic voice of the American Streets and the “Moonlit Sea” track tells us pretty much all you need to know about injustice in this nation. Save your American Studies tutition money, college boy, and shell out .99 cents for this download instead. Only then can you consider yourself schooled in Oppression 2.0. Which brings us back to the old conundrum: what role does politics play, what role should it play, in picking the best New Age album of 2010. As for the latter, I’m going to leave that to the historians and the scientists to sort it out. As for what role it does play, I’m going to say it right here: mucho. And nothing you can do or say is going to change that. So to sum up, while I’m not going to go out on a limb and predict that a little album called “Oceans” really is on the brink of pulling off the heist of the century, I am going to say this: that Michael Brant DeMaria’s “Oceans” is going to win the Grammy and this time next year, we’re all going to be talking about how before our very eyes, it pulled off. The. Heist. Of. The. Century.